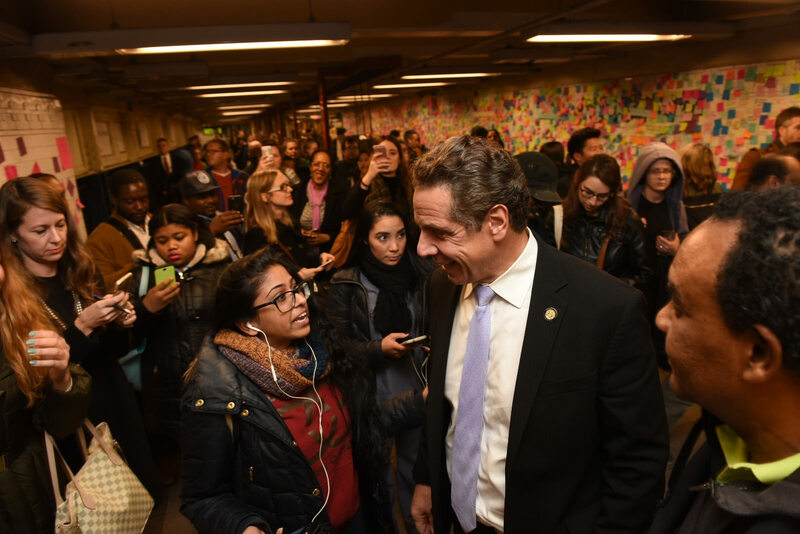 Earlier today, Governor Cuomo announced that the New-York Historical Society will partner with the Metropolitan Transportation Authority to preserve the spontaneous “Subway Therapy” installations that appeared throughout New York City subway stations in the wake of Donald Trump’s victory, which was largely predicated on openly racist, misogynist, and xenophobic rhetoric, as well as the denial of climate science. 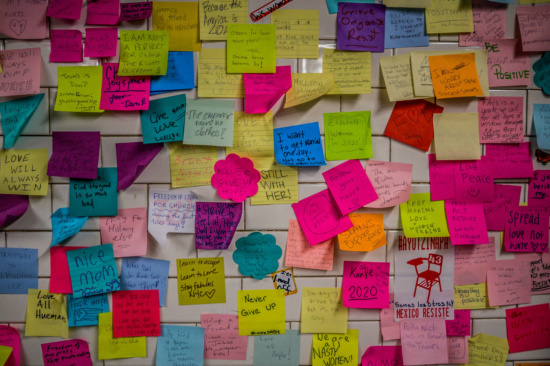 The project was created when artist Matthew Levee Chavez brought sticky notes and pens to subway stations in the days following the election results, and encouraged New Yorkers to “express their thoughts, feel less alone, and also become exposed to opinions different than their own,” Chavez said. 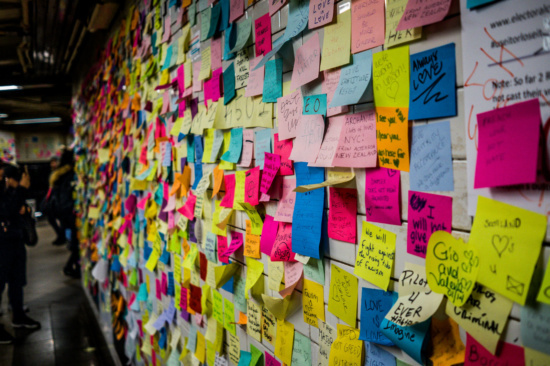 Working with the artist, the New-York Historical Society will archive the sticky notes as “an emblem of emotion and humanity in the month following the [2016 national] election,” according to a press release. “Over the last six weeks, New Yorkers have proved that we will not let fear and division define us. Today, we preserve a powerful symbol that shows how New Yorkers of all ages, races, and religions came together to say we are one family, one community and we will not be torn apart,” said Governor Cuomo. “‘Subway Therapy’ perfectly evokes this historic moment,” Mirrer said of the participatory art piece. As the removal of the sticky notes is already underway, the public will still be able to participate in the project, this Tuesday through Inauguration Day on January 20th, by placing sticky notes on the glass wall inside New-York Historical Society’s front entrance, located on Central Park West at 77th Street.